If you are looking for delicious cocktails that you can have at home, but have zero skill when it comes to making drinks, Crazy Uncle is for you! I first came across their pre-mixed cocktails at the Food and Wine Show last November and was instantly amazed. The cocktail had incredible flavour for something that was likely pre-made and bottled months earlier. Recently I was given the opportunity to try 2 of their new flavours and jumped at the opportunity! 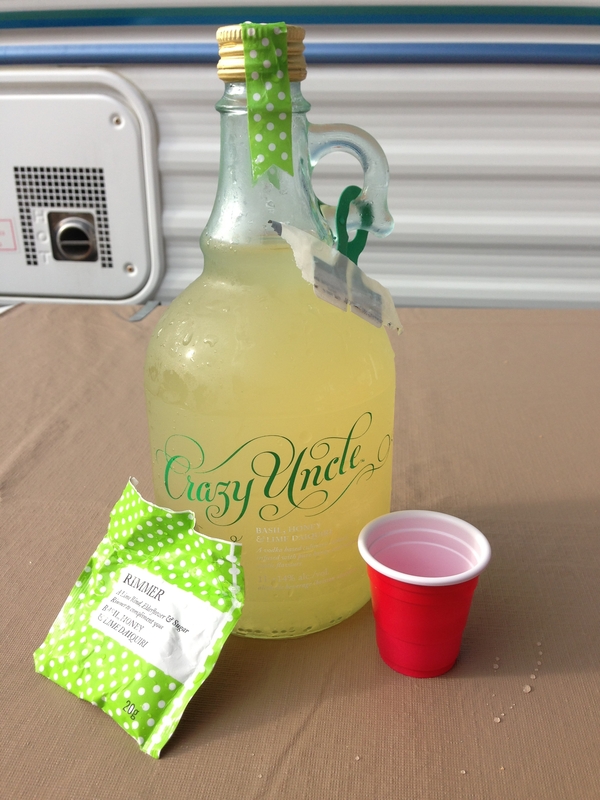 Crazy Uncle makes ready to serve cocktails for consumers to enjoy in the comfort of their own home. Instead of having to head out to bars for world class cocktails, if your mixologist skills are lacking, you can now buy one of their pre-made kits. The kit comes with the drink and a rimmer that pairs with the cocktail. It is super easy to prepare, all you have to do is wet the rim of the glass (I prefer using a lime to give the rim moisture) and dip the glass in the rimmer mixture. Serving Instructions: Serve over shaved ice in a vintage coupe glass, rimmed with the Lime & Elderflower Sugar. Garnish with a few leaves of fresh basil. I decided to share this bottle with friends over the Labour Day long weekend to get multiple opinions on the drink. The bottle made about 4 good sized drinks (a full Red Solo cup) though it says it will make 8 drinks on the back. I found the drink to be perfectly balanced with sweetness and tart, and great hints of basil. Even though we didn’t have any fresh basil to garnish (as recommended), this was definitely a winner for me! Two of my friends found it to be a bit on the sweet side, but my girlfriend agreed with me and really enjoyed it. This is a great summer drink and has a great “fresh” taste to it. You can purchase this at the LCBO for $18.95. To find a location near you, click here. Serving Instructions: Serve, over plenty of crushed ice, in a traditional julep cup, rimmed with the Lime Rind and Mint Sugar. Garnish with a handful of fresh mint. The Cola Bitter & Mint Julep cocktail was also excellent. My girlfriend and I decided to split the bottle and paired it with homemade fish tacos. The flavour again was perfectly balanced and had a nice combination of sour and the bitters flavouring. My only complaint with this cocktail was after having a few glasses I found it got to be much sweeter so I wouldn’t recommend making this your drink of choice all night long. 1 or 2 glasses would be the most I would recommend per person. Overall, I think this will be a great cocktail choice as the colder weather approaches, while the Basil & Lime Daquiri was better for summer drinking. 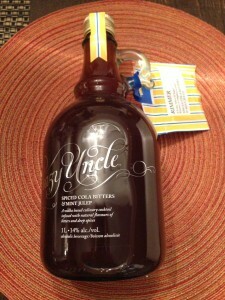 This Crazy Uncle concoction can also be found at the LCBO for $18.95. Click here to find a location near you. At $18.95 I do find the drinks to be a little pricey, but after trying these 2 bottles I do see the value. These cocktails are way better than you would get at many bars around the city and when you consider you get about 6 decent size drinks from a bottle it works out to just $3 per drink. I definitely recommend giving these a try especially if you are hosting a dinner party and want to impress with a pre-dinner cocktail. I can’t wait to see what Crazy Uncle comes out with next!